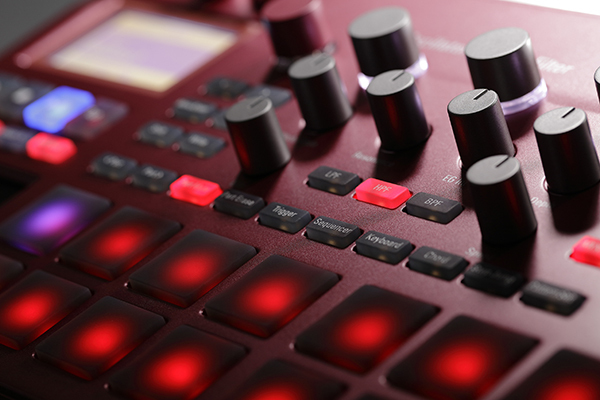 A production machine that lets you create using a gigantic array of samples. The sequences that you create can then undergo additional evolution on stage or in your laptop. 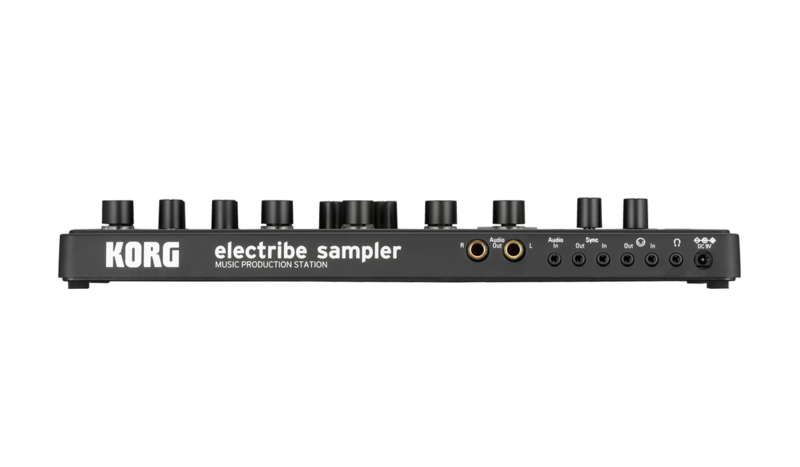 You can enjoy intuitive live performances that link various devices with the electribe sampler, or utilize this capability for full-fledged music production by exporting sequence data to Ableton Live for detailed editing and final mixing. 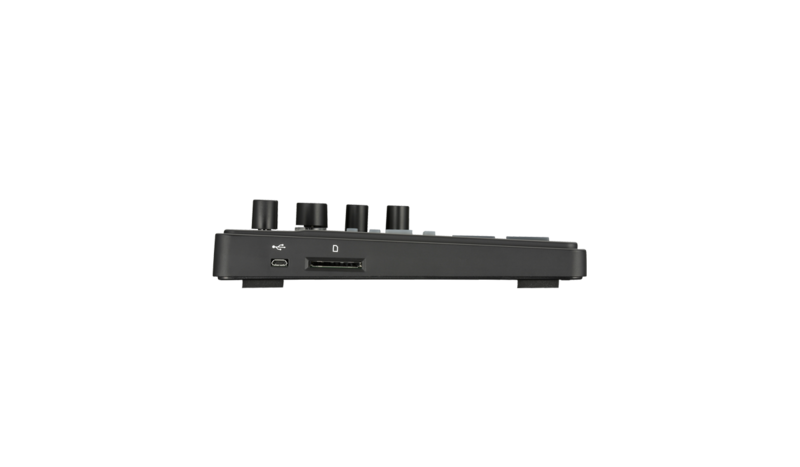 The latest system version 2 adds a much-requested pattern chain function that will be a great asset for live performances or music production. The lineup has also become more colorful with the new metallic red model. And we've also provided bonus patterns that reveal even greater sonic potential. Making your beat-making ideas rapidly take shape. 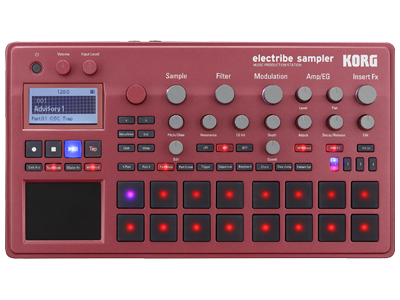 It's the electribe sampler; a sampler + sequencer that's thoroughly optimized for speed. 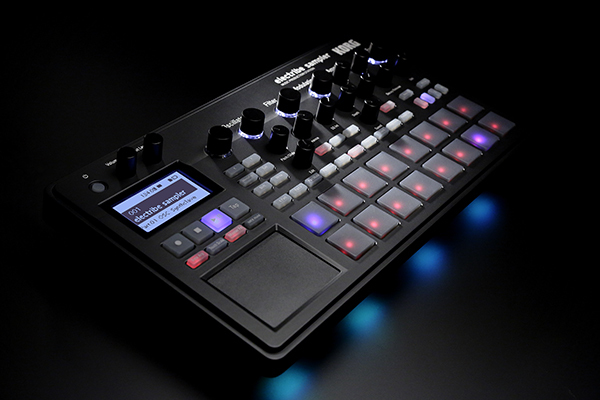 Click here for YouTube videos featuring electribe sampler. 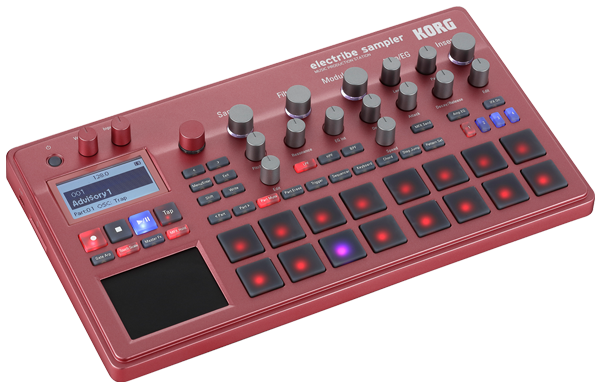 Following the dark black unit, the lineup has been joined by a metallic red model that's reminiscent of the previous model, the ELECTRIBE SX. 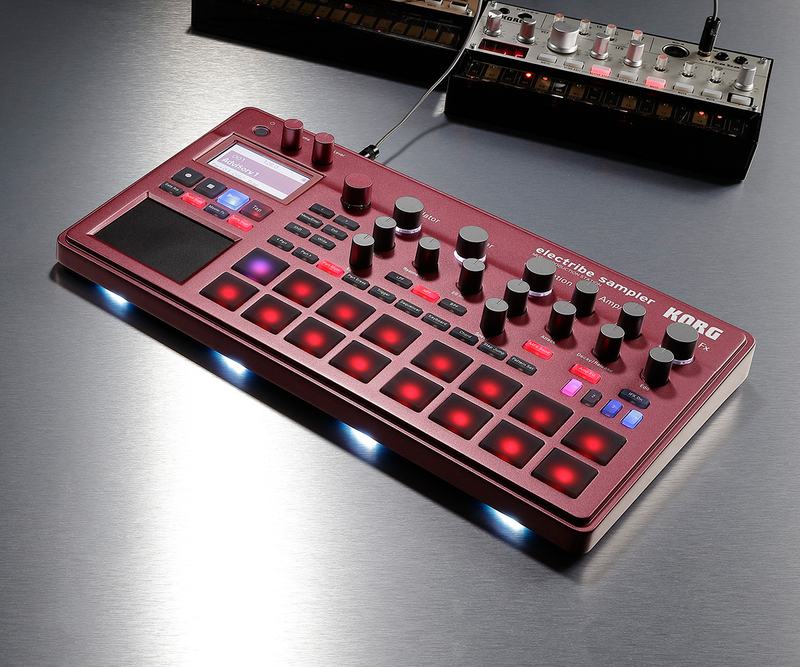 Complemented by the numerous colorfully illuminated LEDs, this unit will energize your playing. 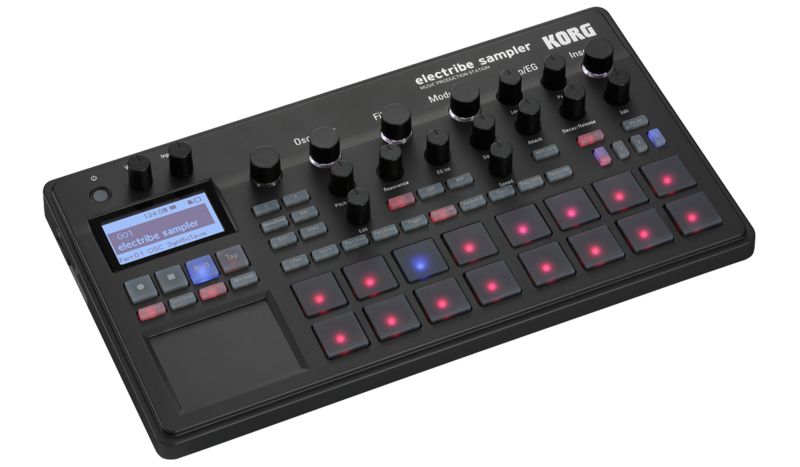 Updates make the electribe sampler evolve daily. System version 2 adds support for the much-requested pattern chain function and undo function, as well as support for original value display. 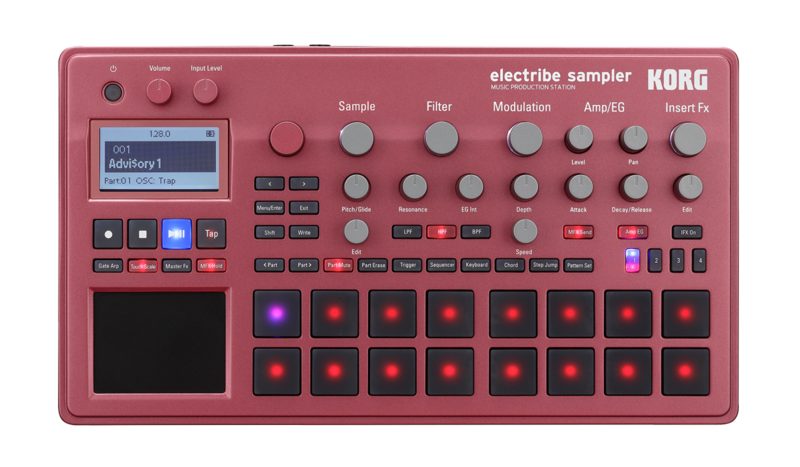 Users who already own an electribe sampler can update their unit and then enjoy playing. 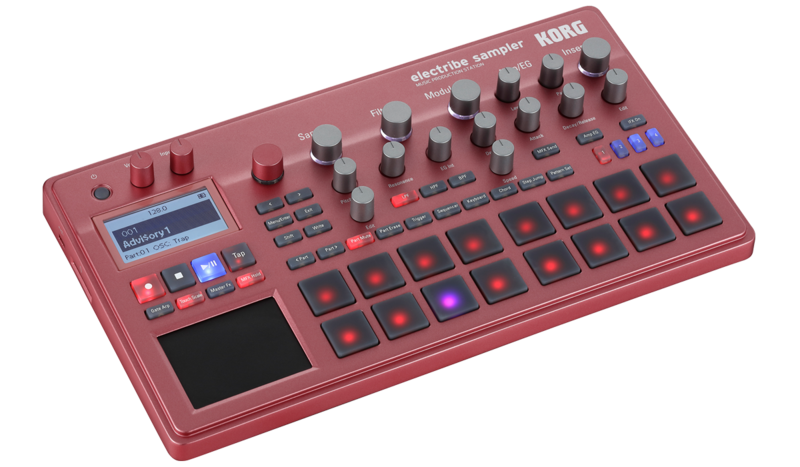 Electribe artists, sound designers, and beat makers from around the world have created bonus pattern data packed with new sounds, phrases, and sequences. These 237 different patterns are packed with sample sounds, drum kits, and ideas for a wide range of musical styles. They are provided as reference materials for your beat-making or as foundations to give you new inspiration. 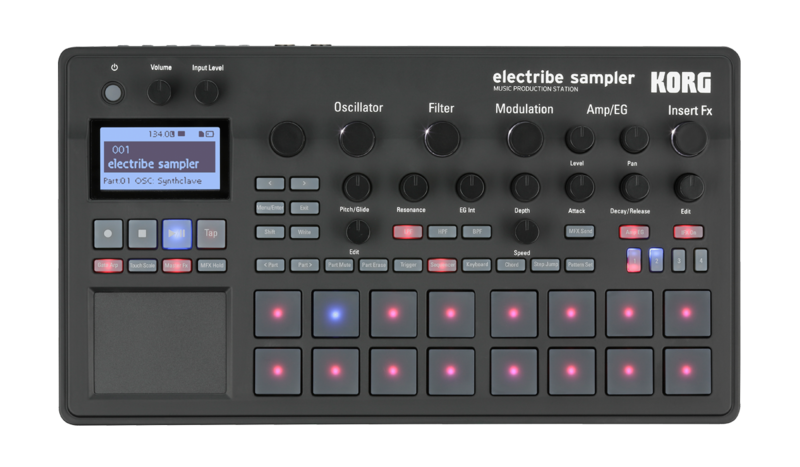 New electribe sampler, new workflow.